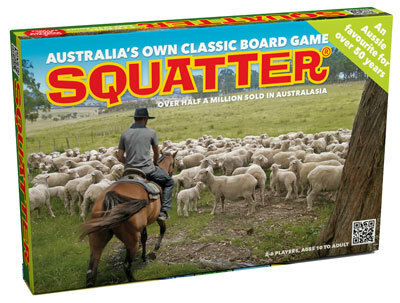 The SQUATTER* Board Game is the original Australian farming game, that gives you the opportunity to win at the business of running your own sheep station. It’s lots of fun for 2 to 6 players, aged 10 to Adults. This is the Australia’s Own Classic Board Game, complete with rules, and you can also access free video instructions on your mobile or online so new players can quickly learn how to play. Order SQUATTER to have it at Home, in the Caravan, at the Holiday House or for an ideal life-long present. Delivery fees are displayed and added to your order during checkout, once you have entered your delivery address. The delivery fee to Physical Premises anywhere in Australia or New Zealand is a flat $10 (Added during checkout). The delivery fee to locations Outside of Australia is calculated and added during checkout. Pricing discounts are applied at the checkout. Delivery to major Australian metro areas is usually within 3 – 5 business days. 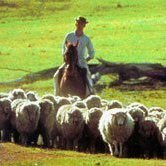 Regional and remote locations within Australia can take longer. Delivery to locations Outside of Australia is by Air Mail and will vary, generally from 7 to 21 days. Tracking is provided to orders shipped within Australia. Currently tracking of overseas orders is not available, due to high cost.